This spectacular split level, attached row home stretches over 1657 sqft. It features a private study/bedroom away from the main living area, the spacious second floor kitchen includes quartz counters, 42" upgraded cabinets and stainless steel gas appliances. The sunken great room and large glass doors lead out to your own covered balcony. On the third floor, you will find a second bedroom, bathroom, laundry room and master retreat. This home has several windows leaving your space bright and sunshine filled. 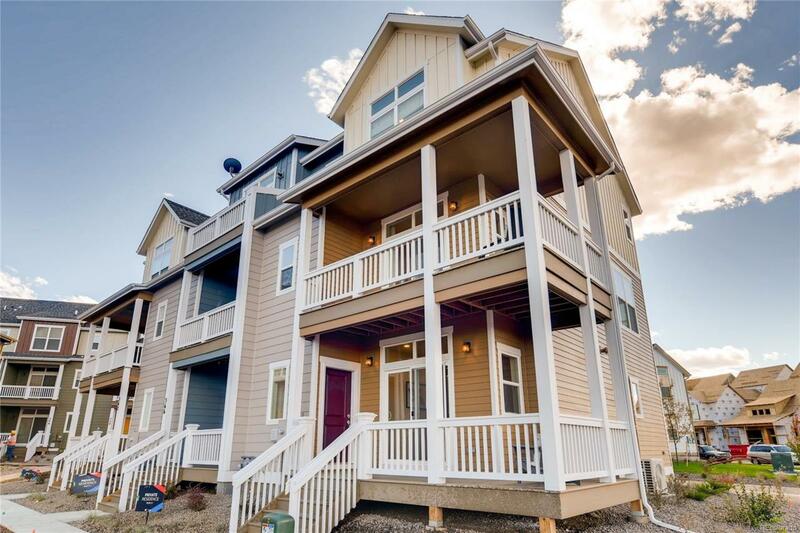 Located in the much anticipated Iron Works Village community, centrally located in Englewood, near the light rail and all of the shops, restaurants and bars that South Broadway has to offer. Pictures are conceptual only, not of actual home and subject to change. Upgrades may vary.